More than 55.000 happy guests has been on our no. 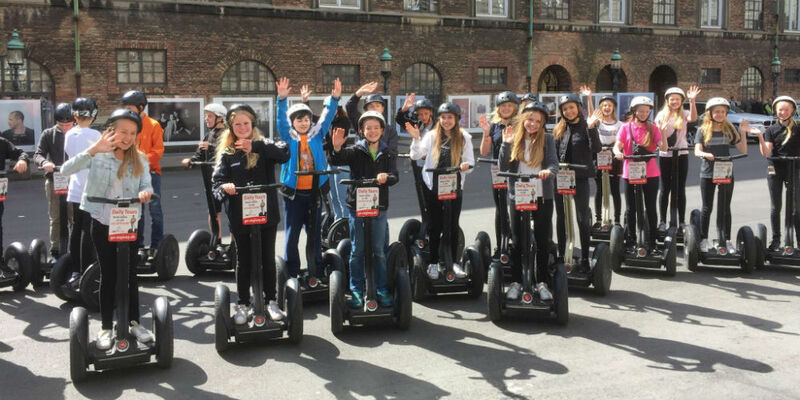 1 award winning Segway tours in Copenhagen. Welcome to wonderful Copenhagen. Copenhagen Segway tours and Go-Segway are the only original Segway tour operaters in Denmark. We offer 6-12 daily guided Segwaytours around the main attractions in the city of Copenhagen. With our 78 Segways, Go-Segway guarantee you, your friends and your family, a fantastic, thrilling and exiting experience. We also arrange Segway tours for private and corporate events. Together we glide through the narrow streets and secret places of the city, along the Waterfront, Nyhavn, Langelinie, The Little Mermaid, The Royal Castle, Amalienborg, The Citadel, the Parlament and the Opera house. You will see world class architecture and much more. Our skilled and educated guides speak 3 languages. Welcome to a world of experiences. Go Discover Copenhagen Your Way – Go-Segway ! Award winner 2012 & 2013 for excellent tour operation and customer service.